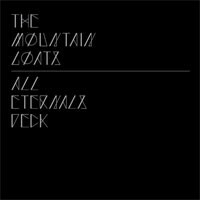 If you are a John Darnielle enthusiast and you live in the same place long enough, you have probably come to recognize familiar faces at Mountain Goats shows. Annually—or, during his really prolific years, biannually and triannually—we assemble to perform a number of endlessly satisfying rituals, like yelling, “Going to Georgia,” buying the latest record on vinyl (sometimes from occasional merch guy John Vanderslice), and pushing our glasses up the bridges of our noses as we make obtuse literary references between sets. It’s kind of like a Gathering of the Juggalos for people who have read The Canterbury Tales. And that is a sentiment I echo upon hearing the band’s new album, Undercard. 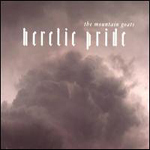 With the exception of Heretic Pride (2007), each Mountain Goats record released since 2002 has had its own hermetic narrative or grand, overarching theme to stitch its songs together. And the most recent one was arguably Darnielle’s most controlled songwriting experiment yet: the gorgeous, aching, emotionally exhausting The Life of the World to Come (2009) consisted entirely of songs that derived their titles and plot lines from meditations on specific Bible verses. In contrast, Undercard’s structure is a throwback to the days of, say, All Hail West Texas (2002); it’s a collection of vignettes connected not because they’re about the same set of characters or theme, but linked rather loosely by a vague and familiar tinge of cataclysmic isolation that hums sort of happy-go-luckily beneath each chorus. 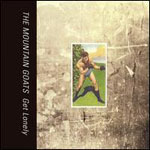 Before we try and fit Undercard too squarely into the Mountain Goats discography, let’s lay two truths bare: the Extra Lens are, basically, the same as the Extra Glenns (says Darnielle, “The Palace Brothers used to change their name every album or so—it’s equal parts annoying and cool”) but the Extra Lens are not, exactly, the Mountain Goats. Franklin Bruno is the reason for the latter fact; he’s a prolific writer and a former member of many bands (Nothing Painted Blue being the most recognizable), and though Darnielle’s unmistakable voice is upfront, Bruno’s efforts on Undercard shouldn’t go unsung. He provided the lyrics on some tracks, and the blustery electricity of his guitar proves great punctuation to the familiar swath of Darnielle’s acoustic strumming. In its best moments, Undercard swings with compact force. “Adultry” showcases Bruno’s blunt distortion, over which Darnielle’s lyrics (“And I’m standing on the same spot where your husband stood / It’s an ill wind that does nobody good”) compose a tense atmosphere with such virtuosic brevity that, as the song ends just past the minute-and-a-half mark, you can almost see him slamming down on a timer like a dude playing speed chess. The wryly upbeat “How I Left the Ministry” (coincidentally, another sub-two-minute ditty about adultery) boasts some of the best imagery on the album: “The last thing I saw before falling unconscious / Was your right hand tracing a heart on my thigh / And I thought, my God what an infantile gesture / And I thought, my God what an indescribable high.” These are, of course, characters who’d feel at home in a Mountain Goats song too, people with hyperarticulate internal monologues who realize that it’s their most trivial hypocrisies that make them human. Undercard sags a bit in the middle section, sloping gradually downward right into a truly inexplicable Randy Newman cover. But the Lens come back strong for the final stretch, beginning with the picturesque “Tug on the Line” and closing, in the “Dogs of Clinic 17,” with Darnielle and Bruno hollering in unison, “There’s a light in all of you who hear my song / There’s a virus eating its way through me.” I’d go so far as to call it, at this juncture anyway, the feel-good human science experiment song of the decade. 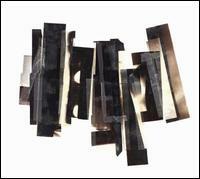 The Lens (er, Glenns) released one other LP, Martial Arts Weekend (2002), a criminally under-praised record that easily ranks up there with the best stuff the Mountain Goats did in the late 90s and early 2000s. 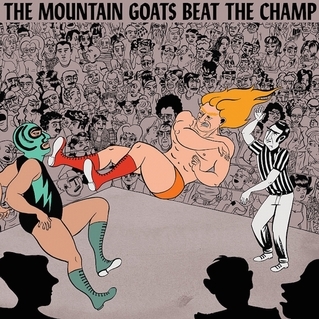 Martial Arts Weekend holds up on its own merits, but in its place just outside the Mountain Goats’ career trajectory (it came out in 2002; so did the boombox fuzz classic All Hail West Texas and the game-changing, hi-fi Tallahassee) it’s a candid and under-scrutinized snapshot of how John Darnielle wrote songs at the beginning of the decade. 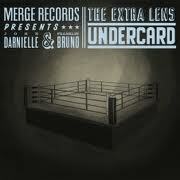 And with all due respect to Franklin Bruno, I think Undercard is most interesting because it provides a similar document of Darnielle’s songwriting right now. 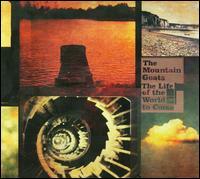 The Glenns record seethes and pops with the gut-wrenching first-person accounts that characterized early Mountain Goats recordings (“Our love is like Jesus, but worse / Though you seal the cave up where you’ve lain its body, it rises” Darnielle sings on the Glenns classic “Going to Marrakesh”) and Undercard provides some great variations on the more composed, detail-oriented character studies of recent Mountain Goats releases. Though I’m biased towards the Martial Arts Weekend-era stuff and Darnielle’s prolific 2002 run in particular (can we retroactively nominate John Darnielle for Time‘s 2002 Person of the Year? Oh, that was the year it was the Enron Whistleblowers? OK, I guess that’s fair…), Undercard further showcases the development and expansion of his craft. Franklin Bruno and the Extra Lens provide a welcome respite from the false but persistent mythology of Darnielle as a solitary genius; Undercard gives his songwriting some breathing room and a refreshing dose of collaboration.